TORONTO. October 3, 2018 — Robin Smith, President of Kinosmith Inc. is delighted to announce that The Woman Who Loves Giraffes, the Bell Media Original Documentary about Dr. Anne Innis Dagg from writer/director Alison Reid (The Baby Formula) will have its theatrical premiere on Friday, November 16, 2018 at the Hot Docs Ted Rogers Cinema in Toronto. Additional markets will be announced soon. The Woman Who Loves Giraffes is the hitherto unknown story of Canadian biologist Dr. Anne Innis Dagg, who, in 1956 at age 23, traveled alone to South Africa to become the world’s first person, male or female, to study the behaviour of an animal in the wild. Her pioneering efforts were ground-breaking, but upon her return home to Canada, her career was destroyed. Anne (now 85) re-traces the steps of her trail-blazing1956 journey, giving us an intimate look into her life as a young woman, juxtaposed with a firsthand look at the devastating reality that giraffes are facing today and the forces that brought her back at a time when the giraffe world needs her most. The documentary is produced by Joanne Jackson (The Messenger, The Big Wait, Long Haul Big Hearts) and Alison Reid, and executive produced by Paul Zimic (Grass 2, Never Enough). Featuring the voices of Tatiana Maslany (Orphan Black), Victor Garber (Argo, Milk, Titanic), David Chinchilla (The Expanse) and Lindsay Leese (Bomb Girls) reading letters written by young Anne; Fleur de Lys manager, Alex Matthew; Anne’s husband, Ian Dagg; and Anne’s mother, Mary Quayle Innis. 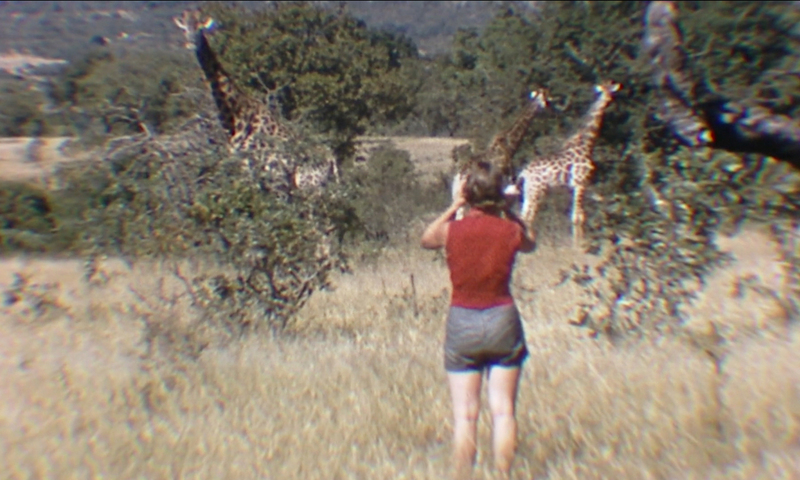 The Woman Who Loves Giraffes incorporates present day footage with vintage 16mm archival footage from 1956-57, which was filmed by Anne Dagg herself, and, when she is in frame, by South African rancher, Alex Matthew. The Woman Who Loves Giraffes was made with the participation of Ontario Creates, Telefilm Canada and the Rogers Group of Funds through the Theatrical Documentary Program, the Rogers Documentary Fund, and KinoSmith Inc. The film is a Bell Media Original Documentary and was commissioned by The Movie Network (TMN). It will have its world television premiere on TMN early next year. Alison ReidAnne Innis DaggJoanne JacksonKinoSmith Inc.